FOR Nicole and Jeremy Graham, the Great Barrier Reef is more than just the basis of their business. "My family and I love the Great Barrier Reef so much we moved here and made sharing its natural beauty with visitors our business," Ms Graham said. "We're very lucky to have the reef and if we don't protect it, then future generations won't get the same opportunity." As the federal election continues to heat up and debate focuses on job creation, a number of Dawson candidates have pointed to projects such as the Abbot Point Coal Terminal expansion as the answer. But Ms Graham, who runs Sundowner Cruises and Lady Enid Sailing with her husband Jeremy, believes this is short-term thinking. Instead she is urging candidates to think of the thousands of jobs provided by the reef. 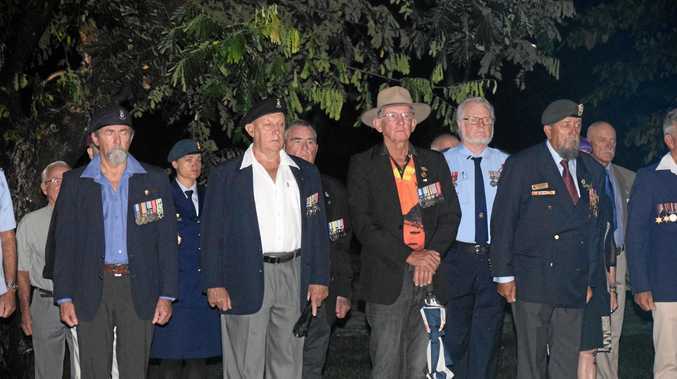 "As a local community in Airlie Beach, everyone relies on tourism," she said. "If we don't look after the protection of the reef now, we won't be protecting jobs for the future. "A healthy reef is a good source of jobs for us and our children, should they choose it, for the next 10 or 100 years. "They've got to think long-term for Australia and for Queensland. There's $60 billion in tourism and 70,000 jobs. "That's a lot of jobs compared to what Abbot Point can create and we're talking about keeping Australian dollars in Australia as well." Ms Graham said this policy of keeping money local "can help us manage the problem of run-off from farms and climate change". When asked why the family had agreed to star in the advertisement, Ms Graham said it was all about promoting awareness. "We feel quite strongly about looking after the future and we want to help any way we can," she said. This future, Ms Graham said, should include the "icon of Australia" that is the Great Barrier Reef. "We can't gamble with its future," she said. "We have been granted this amazing piece of ecology right on our doorstep and if we don't look after it the generations to come will look back and think 'What did you do?'." A commitment to 100% renewable electricity by 2035 and an end to fossil fuel subsidies. A catchment cap to stop farm pollution flowing into reef waters. A multi-billion dollar fund for better farm management and catchment repair, to give the reef clean water. A strong champion for the reef. No more damaging industrial developments on the reef coast, like Abbot Point. An end to illegal fishing, to protect turtles and dugongs. 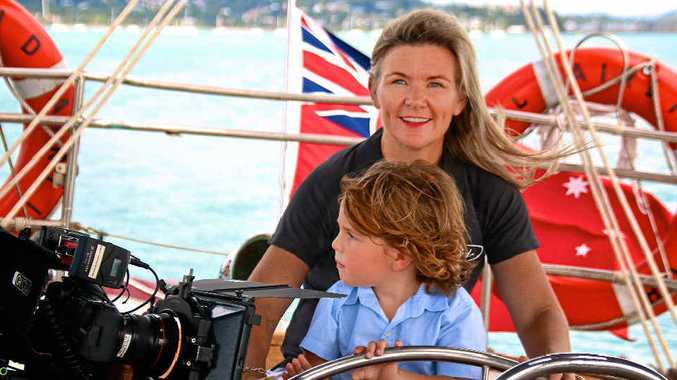 Vote for the Reef campaign : ELECTION TIME: Sundowner Cruises and Lady Enid Sailing owners Nicole and Jeremy Graham star in the latest television advertising campaign from Fight for the Reef. What will you, or your party, do for the reef should you be elected? Amanda Nickson, Family First: We need to look at environmental issues in general, including global warming, which is a much bigger issue than just North Queensland, and we need to take action on that. George Christensen, LNP: We are yet to release our reef policy. That should be forthcoming in the next few weeks. We have a strong track record of protecting the reef, including committing $311 million to the Great Barrier Reef in this term. Labor will ensure at least 50% renewable energy by 2030. I support a catchment cap. Labor has promised $500 million in reef funding in the Great Barrier Reef Plan over five years. Environmentally conscious developments around the reef can continue to happen. Jonathan Dykyj, Greens: We support all six points. We promise to achieve at least 90% renewable energy by 2030 and net 0% emissions by 2040. Today we will be releasing a policy to address points two to six. Michael Hall, Glenn Lazarus Team: We 100% support renewable energy. We are consulting specialists on a budget for a fund for farm management. If all requirements are met by coastal development projects and locals get jobs, I will support them. Steven Large, Independent: I will probably cap coastal developments. We live on a 30km coastal strip. I'm a naturalist and I believe there's a long way to go for tidying up our act. I'm a big supporter of renewable energy; I have a wind turbine.